When we take a look at our digital ecosystem, that is the connections between the processes and parts that make up our communication channels, digital networks and online platforms, we see artificial intelligence poised to make a dramatic impact. Both industries and companies are aggressively investing in AI projects as a way to leverage consumer data, drive better business performance, and improve overall business operations. What this means for the eCommerce industry is game-changing solutions for all facets of operation; from inventory management to how product advertisements are placed and tweaked, to how companies address abandoned carts and fake reviews. In this article, we will take a look at five ways eCommerce will be impacted by the use of AI in the coming years. Artificial intelligence technologies can be used to analyze a consumer’s behavior allowing companies to optimize advertising campaigns towards an audience that is more likely to convert. To put it simply, artificial intelligence and programmatic advertising can gather audience data and then use it to target them with the products that they are interested in. The campaign optimization and product placement targets can be changed and tweaked in real-time across mobile devices, as well as, video and social channels. How is this done? Through the use of demand-side platforms the collect and analyze cookie data gathered from website visitors. One of the major issues that eCommerce companies see are abandoned carts. Now, these carts can be abandoned for a number of reasons such as unexpected delivery costs, concerns over the security of the site, being forced to create an account or complicated checkout processes that require too much information. Fixing these situations will definitely help with minimizing how often the cart gets abandoned but in order to understand the why behind the forgotten cart, artificial intelligence must be used. AI can recognize patterns behind the choice of products, at which stage the cart was abandoned, and how much time was spent actually filling the cart. With these metrics, marketers can use enticing deals, on-screen advertisements, and e-mails to re-engage the customer’s interest in the abandoned cart and thereby get them to re-visit the site to possibly make a purchase. Artificial intelligence can be leveraged through chatbots in order to provide a better and more personalized user experience, regardless of the industry. In the eCommerce industry, we are likely to see chatbots being used with outbound messaging systems as a way to connect with and deliver notifications to customers. For instance, when a customer makes a purchase online that must be shipped to them, as soon as that shipment leaves the facility, a chatbot can notify the consumer. Or, when a package crosses over a certain predefined transit point, say halfway to the destination, a notification can be triggered to keep the customer informed of delivery time and date. This type of automated system not only frees up customer service representatives to do other jobs, but it also ensures that the consumer has a positive user-experience. Although competition within the eCommerce industry bodes well for companies, it can also bring out the worst in some businesses who choose to engage in digital slander. Unfortunately, some retailers are known to arrange for fake reviews or negative reviews to be posted about their competitors online. For most consumers and companies, it’s very difficult to tell the difference between an authentic negative review and a fake review. Artificial intelligence solves this problem by re-tracing when and how the fake reviews were posted in order to reveal the patterns associated with these motivated reviews. This will allow companies to blacklist retailers who try to game the system. This is a massive leap forward for eCommerce businesses as manually going through millions of transactions is impossible and the metrics needed to identify motivated reviewers too vast for it to even be a plausible option. When it comes to the management of inventories, maintaining them at the right level without errors or delays is challenging and difficult at best when done manually. However, when you combine artificial intelligence, the use of robotics, and big data analytics, inventory management becomes highly optimized and produces superior results. This is because stock levels can be maintained at various volumes based on consumer demand and consumption. How? Artificial intelligence uses predictive analytics in order to garner information from various touch points like buying preferences, competitor sales figures, reviews, product launches, returns, and retailers, which allows it to prepare for periodic surges in demand. Beyond this, AI can leverage the information gathered from predictive analytics to personalize user choice. For instance, if one particular consumer prefers a certain color or brand of clothing, they can be prompted with an advertisement when a new product becomes available by the brand or in that color. In our digital age, technology is the main differentiator to whether a company outdoes their competition. Artificial intelligence enables companies to provide a better user-experience to shoppers by providing streamlined notifications, 24/7 communication, and personalized and targeted products that meet the visitors’ demands and needs. 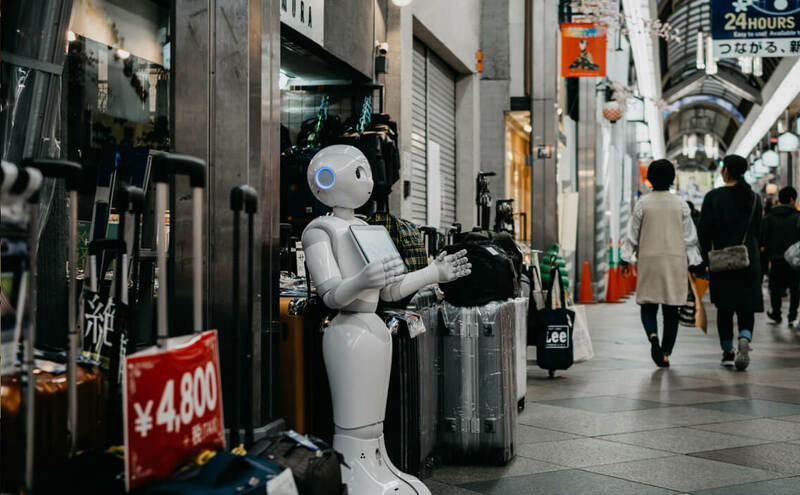 Without artificial intelligence, shoppers would not receive an immediate response when using live chat systems, they would not receive instantaneous notifications about product delivery, and they would not be reminded to check out their abandoned carts. Beyond this, inventory management would be slower, filled with more delays, and be subject to more human error. In essence, AI is a technological tool that all companies should be utilizing in the immediate future. « Ever Wondered How Music Streaming Apps Know You So Well?